Kagero has come up with another winner if you're a Panzer IV nut, like I am. The book is soft cover with heavy stock and full color art on the front and back covers. This book covers the Panzer IV J. The strength of the book isn't the text, unless you read Polish. 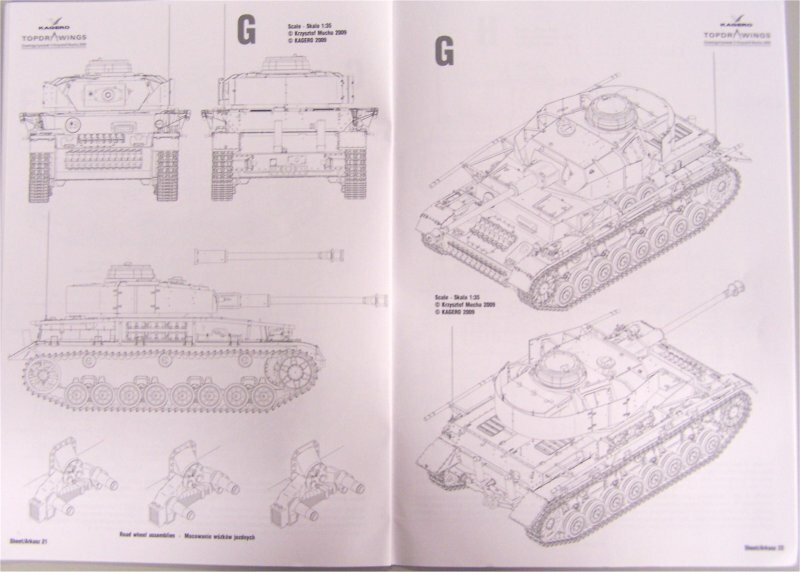 The 1/35 scale drawings are beautiful, showing all the angles of the tank, in all twenty seven pages. The drawings do have some text in English, so you know what variant you're looking at. The reader does know which production version is being represented. Included are exploded drawings of the different muffler systems, return rollers, idler wheels, road wheel assemblies, treads, muzzle brakes, cupolas, and armor skirts. There are also four pages of 1/48 and 1/72 scale drawings. Thirty one pages in all. Add to this four pages of full color prints, with two tanks on each page. 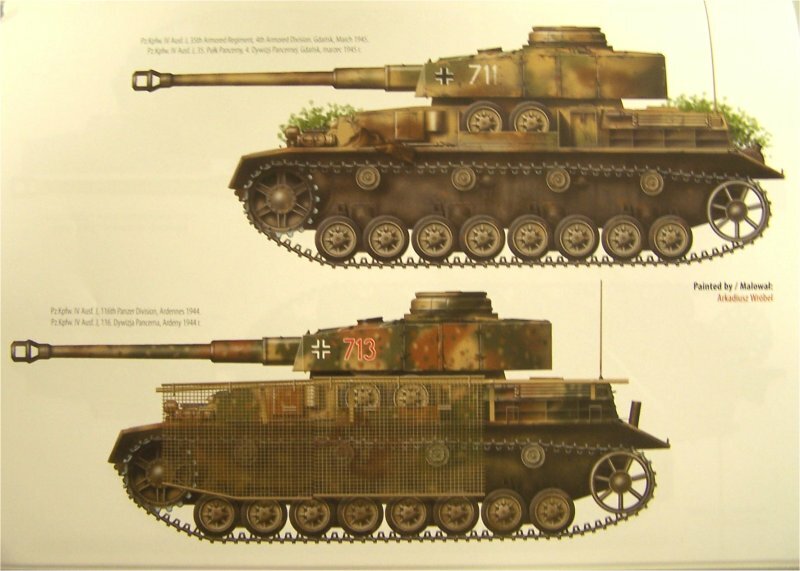 If you're a Panzer IV J fan, you won't be disappointed. Kagero has given us a reference with the modeler in mind. The price may seem high for a soft cover publication, however, the artwork makes it worth owning and a set of masks are provided with the book. We thank Kagero Publishing for providing a copy of this book for review.